Norman Minott has expertise in the field of Real Estate Law. He is acknowledged as an authority in the area of strata and development law and has represented many prominent developers and financiers of commercial, residential and resort developments. His clients include several major residential and commercial real estate developers. Norman received his LLB with honours from the University of the West Indies and has been practising since 1976. He has served as the firm’s Managing Partner and as the head of the Property Department. In the commercial sector, Norman sits on several boards, including MF&G Trust & Finance, MF&G Asset Management Limited and Caribbean Assurance Brokers Limited. The government has long sought his expertise and he has taken turns as Deputy Chairman of the Urban Development Corporation, Chairman of the Municipal Services Commission and the Parish Council Services Commission and board member of the Coffee Industry Board and the Port Security Corp.
His publications across his long career in real estate are extensive, with emphasis on: the Stamp Duty and Transfer Tax Acts, the Real Estate Dealers and Development Act and the Registration of Strata Titles Act of Jamaica. 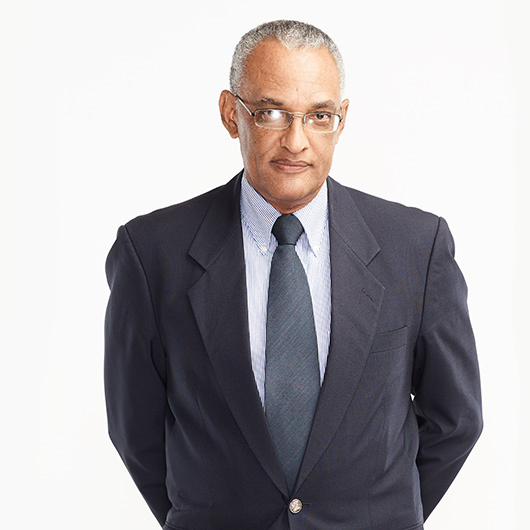 Collectively, his work informs upon the legal aspects of business and commercial development in Jamaica. Interests beyond the boardroom include coffee farming and motor sports. Norman has applied his leadership skills to these areas as well, and is a past president of the Jamaica Motoring Club, the Jamaica Race Drivers Club and the Jamaica Karting Association.